The affordable Porsche nowadays seems like an oxymoron. If you want to buy the cheapest Boxster you have to shell out $52,100 before you put a single option on it, which you’ll want to do unless you want your fifty grand car to be about as well equipped as a twenty grand subcompact. Even their latest move towards four cylinder turbocharged engines won’t generate a price drop. How the times have changed. 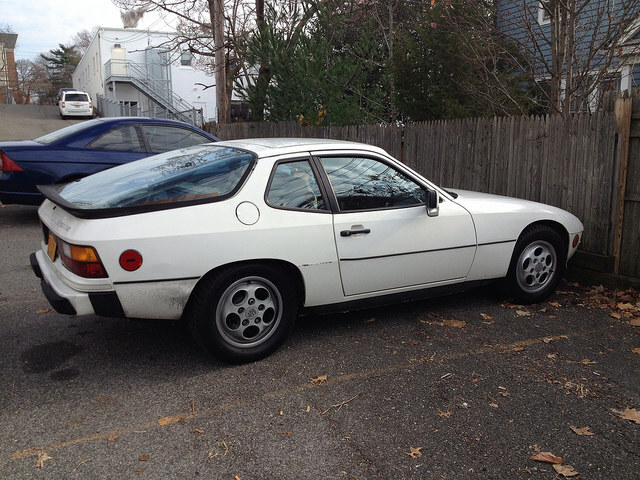 Of course back in 1976, when the original 924 was released, the idea of Porsche making anything other than a sports car to pad its wallet was absurd. To be fair, we’re still talking about a time when the Matra-Simca Rancho was still a year away from release and a Porsche Sedan just sounded…wrong, as did any Porsche with an engine in the front to be honest. Not to mention that the development of such a thing would put a lot of strain on a financially-challenged Porsche. The 924 came about because VAG (Volkswagen-Audi) was interested in a line-topping Audi sports car. The development was undertaken by Porsche, as part of their long-running contract with VW to develop new concepts and build prototypes. The 1973 oil crisis made VAG have a rethink, and back down from the project, allowing Porsche to buy back the design and produce it as their own, with some concessions to VW regarding where it would be produced; meaning it had to be built at a VAG-owned factory (former NSU plant), and staffed by VW employees. Essentially, VW was building a car full of their own parts, engine and technology for Porsche to sell. The 924 was released to the public in 1976 with a SOHC 2.0-liter four cylinder. The 924’s engine gets a bad rep for also being fitted in the VW LT van, but it actually appeared here first so we have to make one thing clear; the Porsche 924 didn’t have a van engine, the VW LT had a sports car engine. In any case, this engine was nit really new, but a further development of the older Audi ohv engine, which had been developed by Mercedes back in the early 60s to replace the two-stroke FKW engine. The German automotive industry is a bit incestuous. The 924’s engine in European trim made a reasonable-brisk 125 hp, which could hit 204 kmh (125 mph) thanks to its slippery shape.). The NA version initially made all of 95 hp, but that was upped to 110 in 1978. By 1980, a three-way cat allowed power to rise a bit more to 115 hp. That US engine didn’t pack quite enough of a punch to take full advantage of the amazing handling, according to the automotive press at the time. But best of all, the 924 made Porsches affordable; in 1977 you could pick a brand new 924 for $9,390($36,853 adjusted for inflation). New Porsche for under ten grand? Sign me up! The results were as expected, and the 924 became a sales hit, renovating the brand and giving it some much-needed liquid assets. And in 1979, a 170 Horse turbo came along to give the people what they wanted (for a price). The 924 platform was then evolved by Porsche to create that ultimate yuppiemobile, the 944, which replaced the 924 in America. Europe got both models alongside the GT-oriented 928. The 944 was more expensive than the car it replaced but it had better sporting credentials and, presumably, was considered to be so desirable as to turn the 924 redundant on this side of the pond. Our featured model, captured and uploaded to the Cohort by William Rubano, was the product of circumstance. Volkswagen was going to stop production of the EA831 engine that had powered all 924’s since its inception for the 1985 model, but Porsche wanted to keep producing the 924. 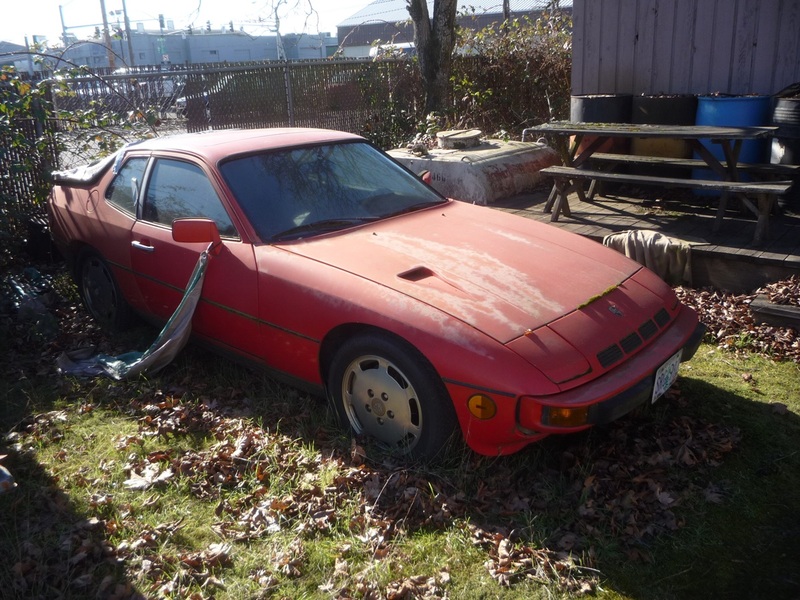 It was still pulling good sales numbers in the markets were it was sold and halting production would mean that the cheapest Porsche would be the 944, which was retailing for $21,000 ($46,418) at the time. Their solution was to take the 944’s existing 2.5-liter engine, detune it and upgrade the suspension. The resulting 924S was launched in 1986 and brought back to America with an advertising-friendly price tag of $19,905 ($43,195). I’m calling this one a 1987 as that was the year when the bulk of them were produced, with 8940 examples rolling off the NSU-Neckarsulm factory. The 924’s Story ends thanks to two factors. One was that exchange rates meant that the 924 became less and less profitable for the brand; the other was that the gap between the 924 and its big sis was becoming more and more narrow. The 1988 924S, benefiting from a last power bump to 160 HP and a low weight, was actually faster to 60 than the base model 944. Porsche retired its low-priced offering that same year and instead decided to focus on more upmarket offerings. Hard to argue with the results, considering that most of the profit margin from a Porsche nowadays comes from insanely expensive leather packages and $7,000 surround sound packs. The DM was really playing havoc with Porsche pricing in the late eighties. The $19900 price of these was not sustained long and falling volumes on the by now aging design were also hurting. They could not have cost much less to make than the 944 and the prices Porsche was paying Audi were not competitive. I once owned a red 87 RX7 with even a factory copy of the telephone dial wheels, so I am not immune to the 924’s charms. Once I was on an onramp that went from two lanes to one before merging. I had clear road ahead and opened up the RX7 only to hear this incredible shriek from first behind, then beside then in front as a 911 blew the RX7 away. Incredible and understandable because the 911 had already done that to the 924. Mazda’s said if (and, contra the Aussie motoring press, it’s very much an if) they bring back the RX-7 they’d aim for the Cayman in performance while undercutting it in price, much as they did with the 924. In 1977, $10k was a lot of money. A base DeVille, or base Corvette, or base 320i all had MSRPs around $7500. What I remember about these is that they still had the 77 style 924 interior full of 70’s VW Rabbit switch gear, while the 944 had moved on to a more modern and nicer interior. A good-looking car, if somewhat disappointing dynamically. The design influenced a lot of other cars, from the RX-7 to the first Integra. These re-launched the same year the 2nd gen RX-7 came out, it didn’t have a chance. “Disappointing dynamically”. Depends on how you want to define it. No, my 924S did not have slam-you-back-into-your-seat acceleration. Which to mean is overrated, and usually an indication that the car’s owner knows how to go fast in a straight line, and is kinda lost when the road goes any other way. In any other aspect, however, I consider it superior to anything else I’ve ever owned. Handling, comfort, reliability (yes, even in the low six figures) and sheer enjoyment. This was the best car I’ve ever owned. And it outperformed pretty much everything else I’ve ever owned. Add in the hatchback practicality, and it was the perfect car. Two and a half years on and I still very much regret trading mine in for that Solstice – all because I’d never owned a roadster. Now that that I’ve check that bucket list entry, I’m looking for another 924/944/968. As close to 100k as I can find, in clean shape with service records, and manual transmission of course. I’d driven a 968 cabrolet with Triptronic back when I was looking at the Solstice, and it was a case of a very nice car completely gutted by the transmission. The 924S’s engine wasn’t detuned, at least in the US. It always had the same ratings as the contemporary base 944. Acceleration was a bit quicker than the 944 due to weight, but the real advantage was at top speed, where the 924S’s smaller frontal area and better drag coefficient gave it about 7 mph more top speed. I’m not sure what Mike G means about the dynamics, as these cars still had what is probably still the best power steering ever offered to the public. The balance was unreal too. Porsche killed these cars off to move upscale, but they almost went bankrupt in the process. The 996 and Boxster arrived with Toyota dashboards for a reason; Porsche had brought in Toyota to teach them to make cars profitably after their sales collapsed following the demise of base 944 and 924S. 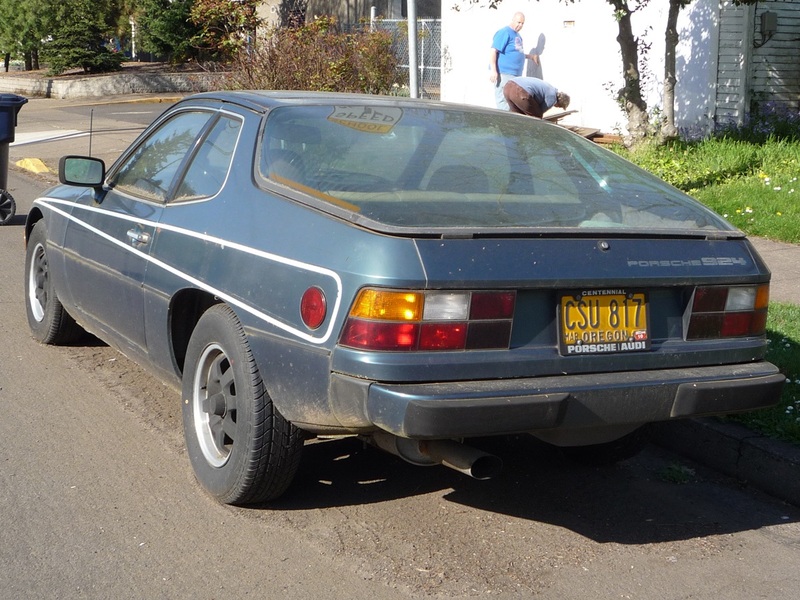 As I recall, the 924 corroded badly and quickly, even in Southern California, and the quality of the early cars was kinda junky. I vividly recall that our master Porsche techs flatly refused to have anything to do with these turds. I also recall opening the driver’s door of a tired 924 and having the entire door fall completely off the car onto the pavement. Yikes! The 944 was better, but had a lot of overheating problems, IIRC. The 968 seemed to be a solid effort, and was a blast to drive. Parts were very expensive, though; I’ll bet time has not made them any cheaper. 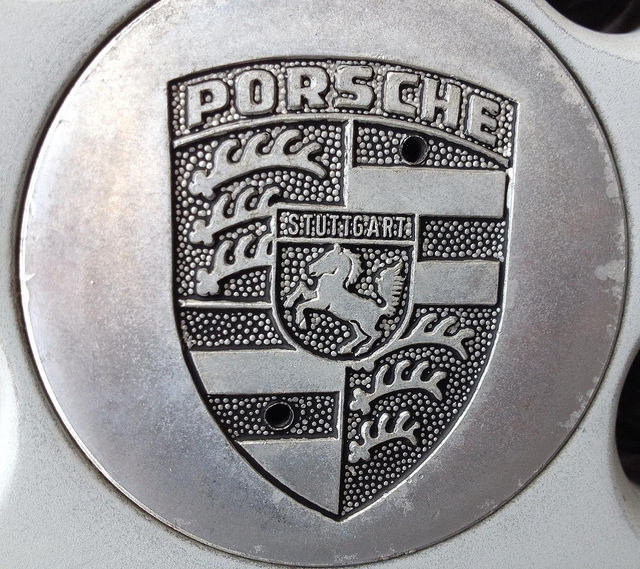 No, Porsche parts are Porsche parts in cost, no matter what the model. And either you understand that prior to purchase or there’s something wrong with your sense of reality. No idea on the quality of the early ones, my interest has always been on the mid/late 80’s 924/944’s. There is one advantage to ownership of this series of car, assuming your sense of humor: The ability to antagonize snobby 911 owners by showing up at a car show or gathering and then parking you car in among all the other Porsches. I love watching the slow burn. And unless the area was further subdivided down by model, I’d always park in the middle of a pack of 911’s, the older the better. There’s a tremendous satisfaction in antagonising owners of “real” Porsches, or any other make of car or bike knowing you paid far less for yours. My brother used to piss off the “real” Triumph Bonneville T120 owners by riding a left foot shift T140. I suspect today’s Boxster is actually cheaper than the 924 when adjusted for inflation and equipment. The early 924’s didn’t even come with a radio as standard equipment, much less A/C, ABS, 6+ speed gearboxes, cruise control, power windows, alloy wheels, etc. that are standard today. Add all the options that were available to a 924 and you wouldn’t even match the standard features on the new Boxster, but price would probably be something closer to $15,000 mid-70s dollars rather than the $10,000 base price, and you would still have a car that took about 10-11 seconds to hit 60. 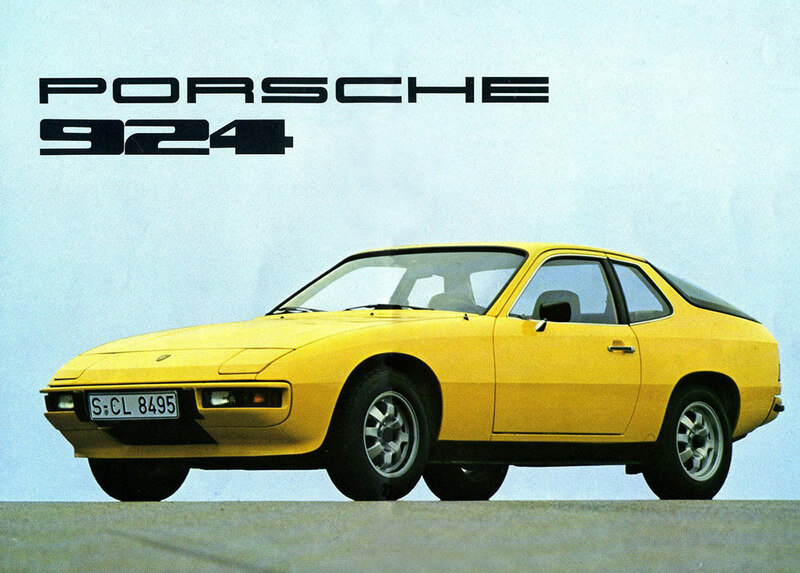 What exactly is the difference between 924’s and 944’s? I know they have different engines but other than that they seem pretty similar. I have always liked them a whole lot. That goes for the 968 as well. I’ve often wondered the same thing. The nose styling is a bit different (944’s have a higher hood line and don’t have the odd-looking round reflectors/markers) but they seem very, very similar to me. For the longest time I thought the 944 replaced the 924, so finding out that they were sold side by side for three years here (and six? in Europe) was surprising. 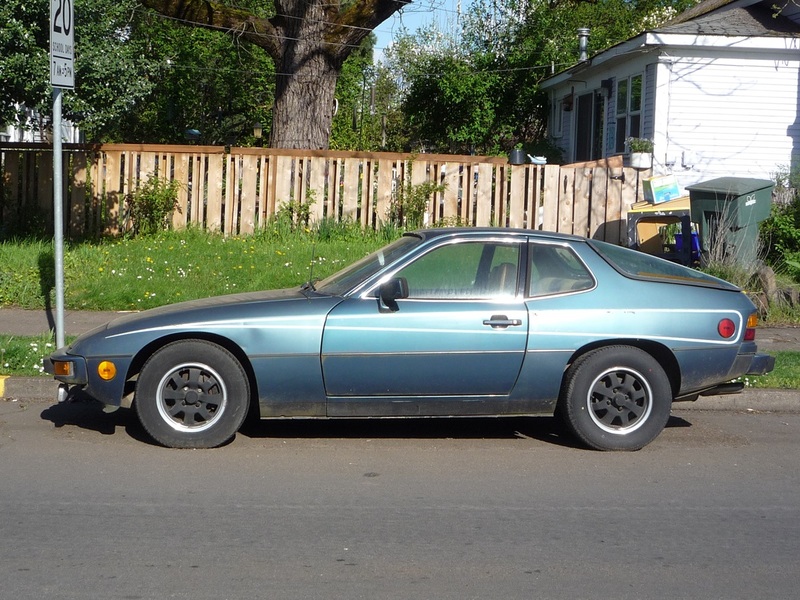 The difference between a 924 and a 944 body is the fender flares. Consider the 944 a wide body 924. Or in the case of the 924S, it’s a narrow body 944. 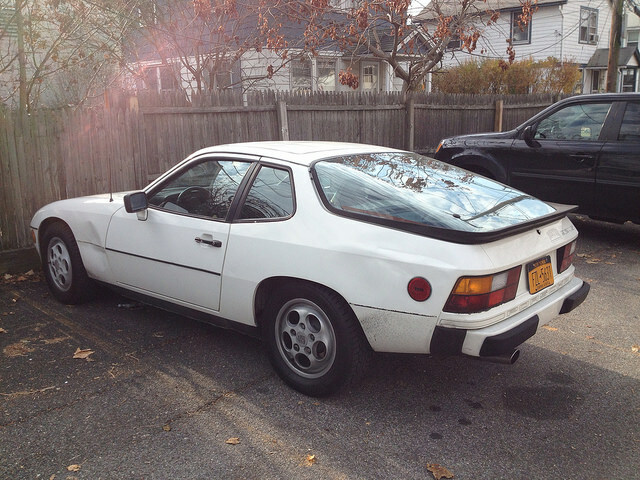 87 Model year 924S does indeed have a detuned 944 engine. Diffirent pistons for lower compression, and about a 10hp difference. 88 Model years got the same engine as a 944. Fifth gear is also shorter on a 924S in an attempt to reign in the higher top speed of the 924S over the 944 due to better aerodynamics. I have an 87 924S manual trans, with no sunroof, no rear wiper and no cruise control. Err, I meant to say it has the sunroof, rear wiper and cruise control delete. Stanislav Alexeyev on Weekend Classifieds/QOTD: Five Volkswagens – Which VW Is For You?